Sweet Potato-Peach Smoothie: It’s a perfect summer smoothie, filled with natural sweetness and nutrients. 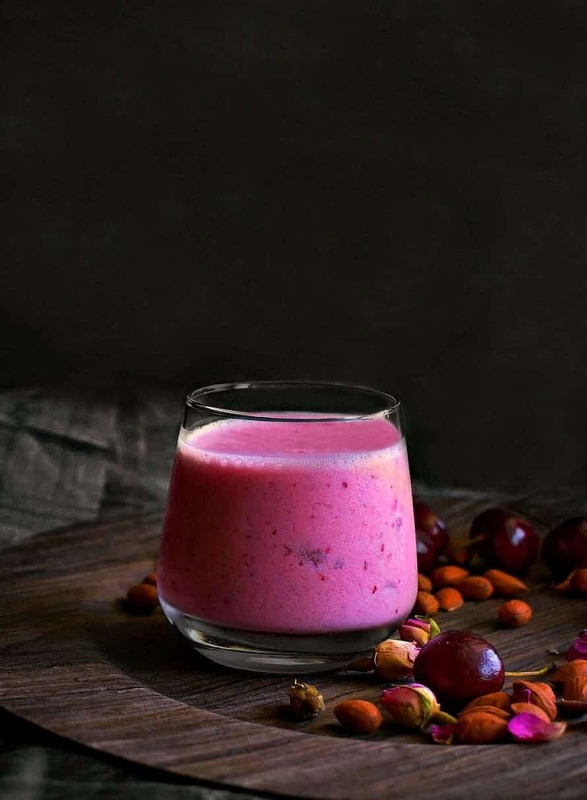 I just realized that I haven’t shared any smoothie recipe for a long time. 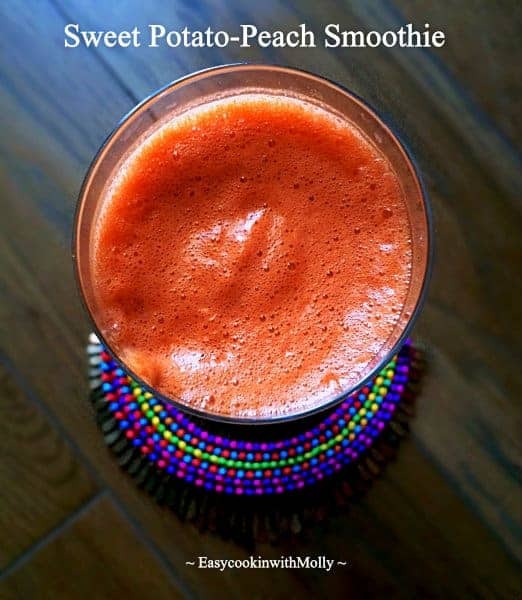 Although I drink them regularly and these days I’m hooked on this totally awesome Sweet Potato Peach Smoothie. 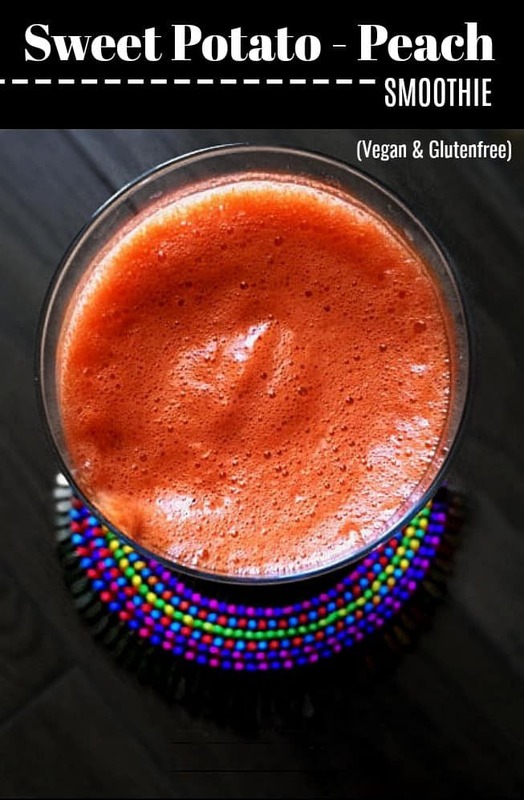 This smoothie not only looks beautiful because of the rich bright orange color but can almost pass as a dessert. It’s like drinking your dessert – We can call it Dessert on Straw. Now for this particular Sweet Potato Peach Smoothie, I’m using cooked sweet potato as it brings out the rich flavor and texture. You can cook them either in an oven or steam them if need be. (Somehow ginger makes the taste pop with flavor and yet binds it all together). 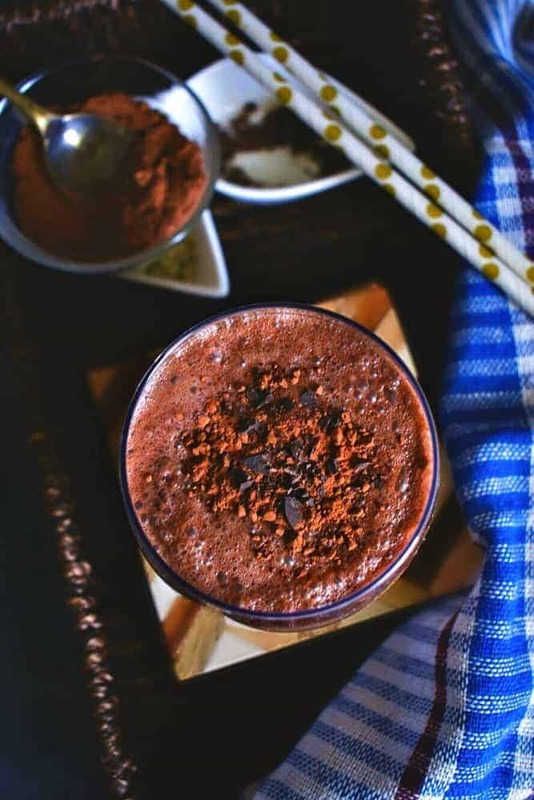 It’s a perfect summer smoothie, filled with natural sweetness, nutrients and creamy. Place all the above ingredients in a blender and pulse until smooth. 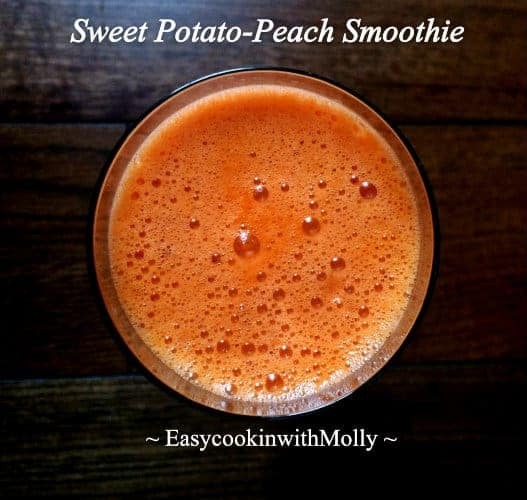 3 Replies to "Sweet Potato-Peach Smoothie"
This sounds so different and refreshing cant wait to try it!